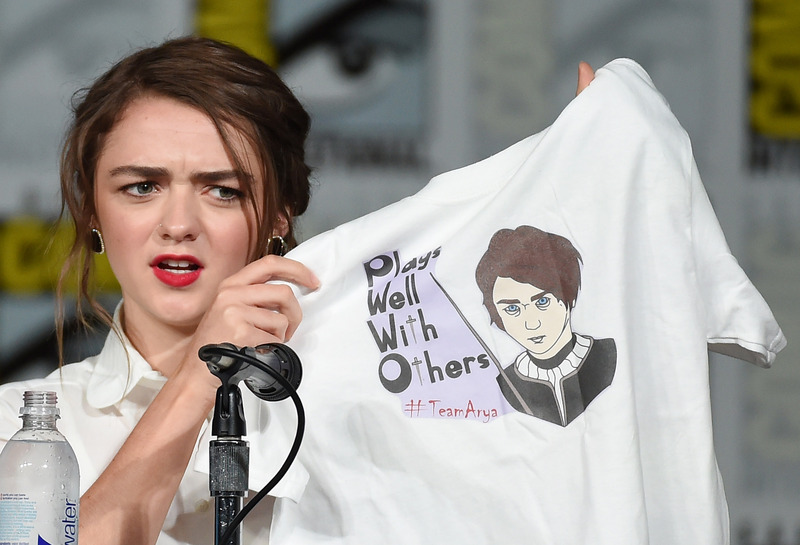 Arya Stark is one of the best-loved Game of Thrones characters. She is a tough, resilient young girl who has survived on her own while traveling through Westeros and seeing the worst humanity has to offer. 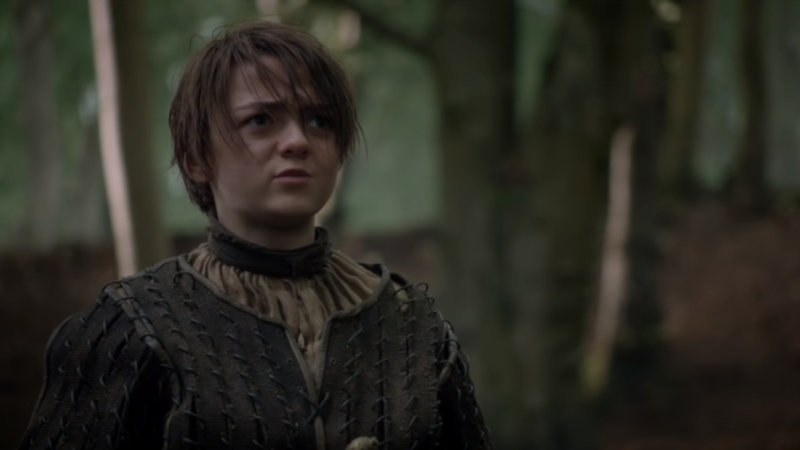 Even if Arya is your favorite of the Stark siblings, there are still a lot of facts that you may not have known about this pint-sized hero. 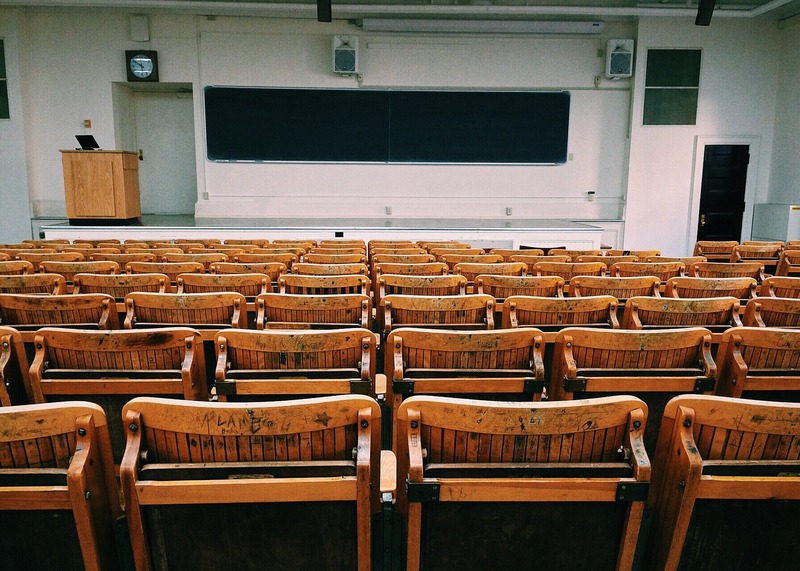 Believe it or not, there are multiple colleges and universities that teach classes on Game of Thrones! Arya is a huge subject in all of these classes because of how her character challenges female stereotypes. 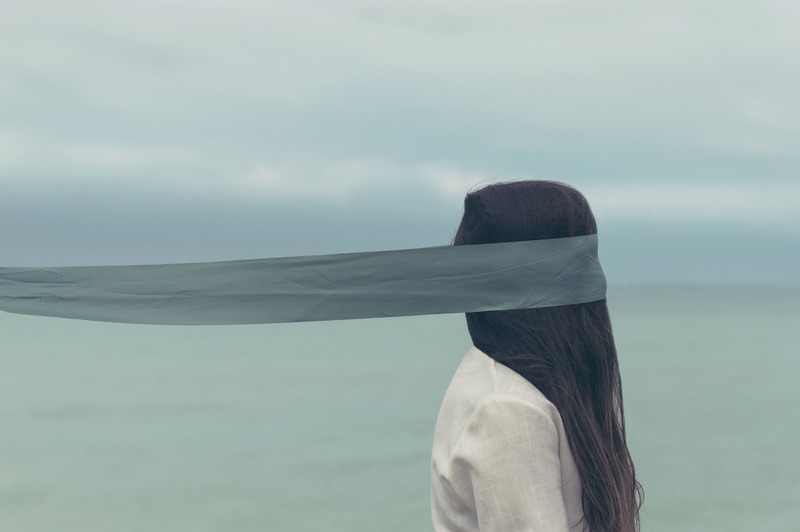 Despite the fact that Arya is quite violent herself, Williams dislikes the graphic content on the show, and has been known to cover her eyes while watching. Um, sorry about the Red Wedding, Maisie. Even at a young age, Arya knew that she hated the idea of growing up just to get married off to a Lord. 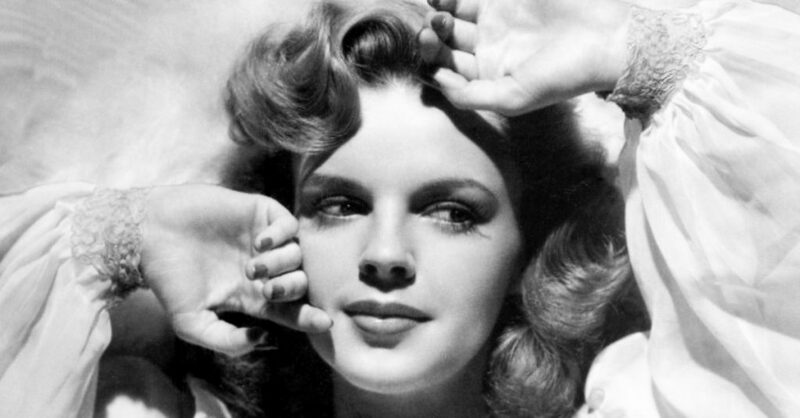 She wanted to be independent, and was bored with traditionally feminine activities. 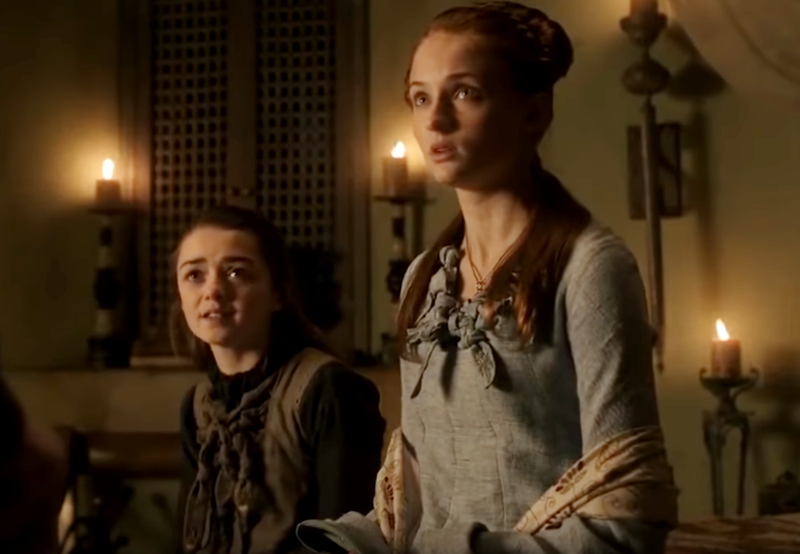 This caused some friction with her older sister Sansa, who is desperate to be seen as a lady. 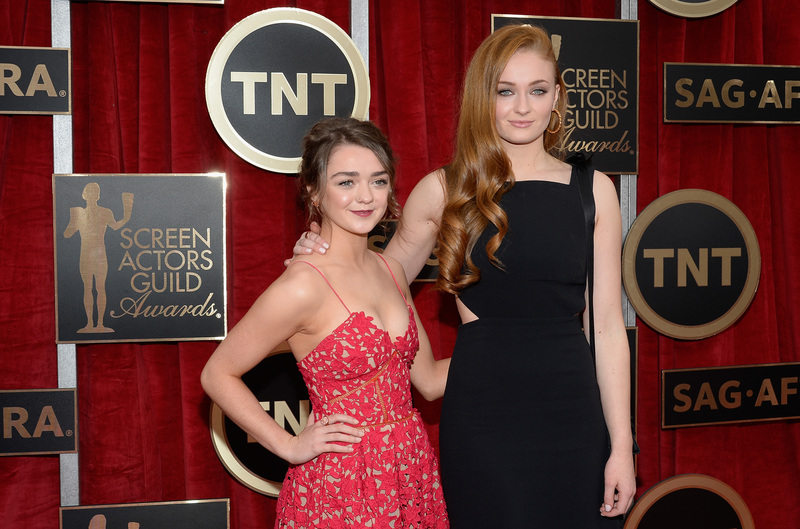 Even so, Maisie Williams and Sophie Turner, the actresses who play Arya and Sansa, are close friends in real life. Williams and Turner got matching tattoos that say “07.08.09,” which is the date they both found out they got the parts on Game of Thrones. Arya forms a strong relationship with her (alleged) half-brother, Jon Snow. 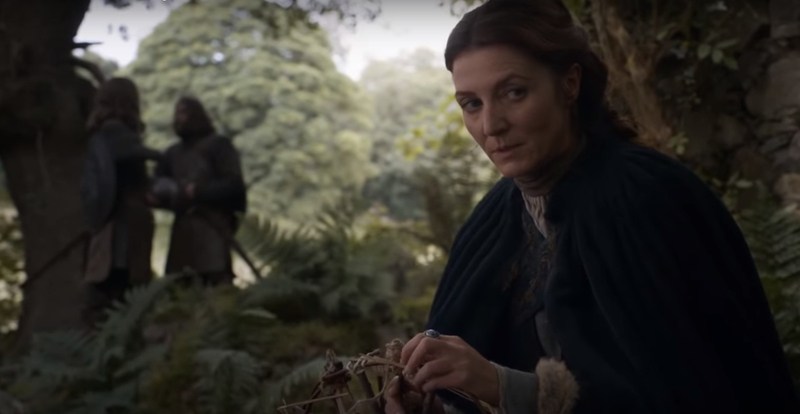 Jon gives her a sword that is small and thin, which she names Needle. 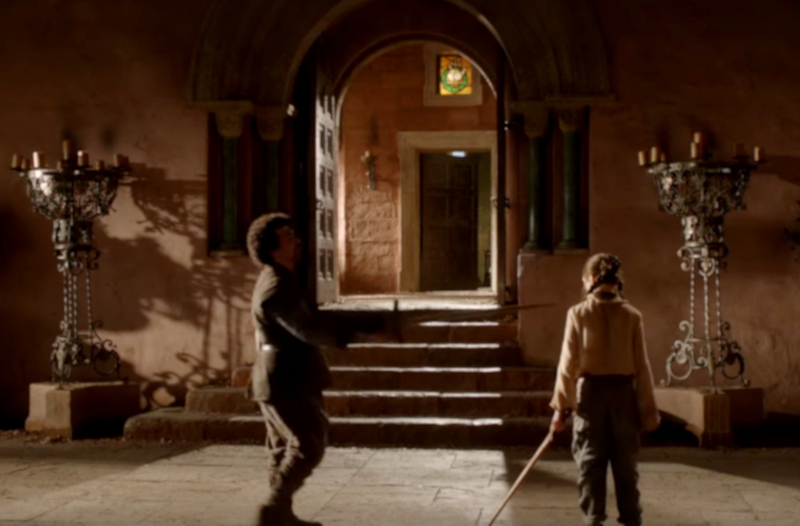 In the books, Arya spent a lot of her time playing with stray cats around The Red Keep in-between her lessons with sword master Syrio Forel. She would try to keep up with them and chase them around. This actually contributed to her sword training, making her faster and more agile. 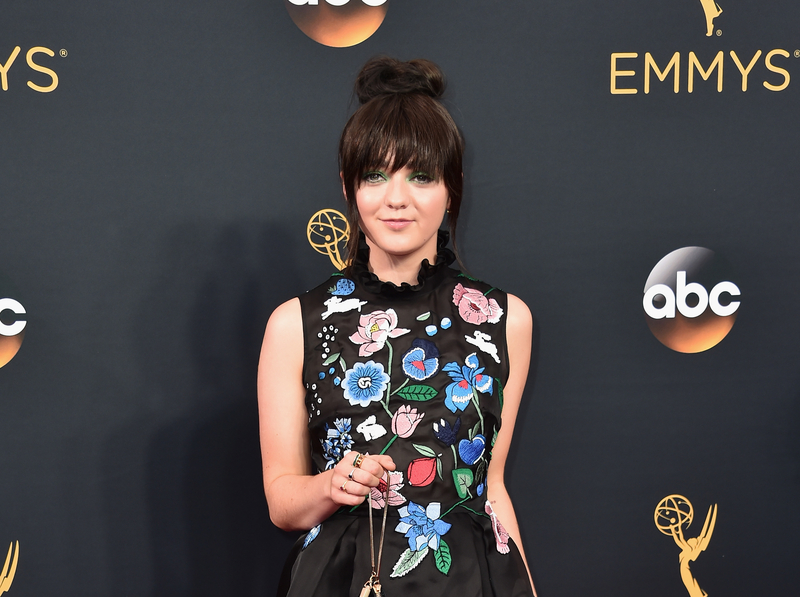 In 2016, Williams was nominated for an Emmy Award for her performance as Arya. 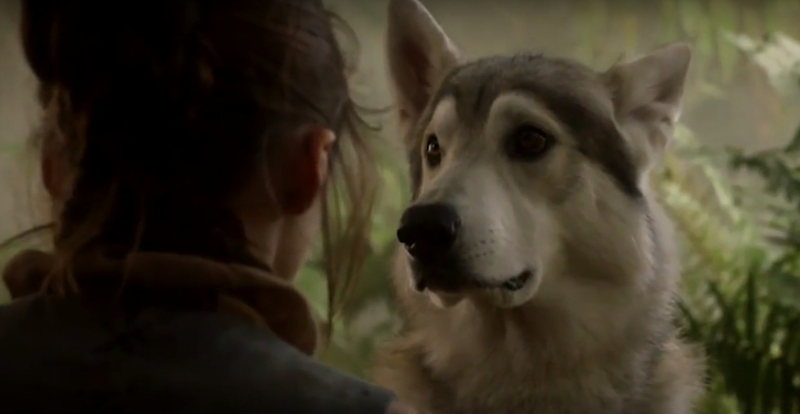 Arya and the rest of the Stark children get their own direwolf puppies. 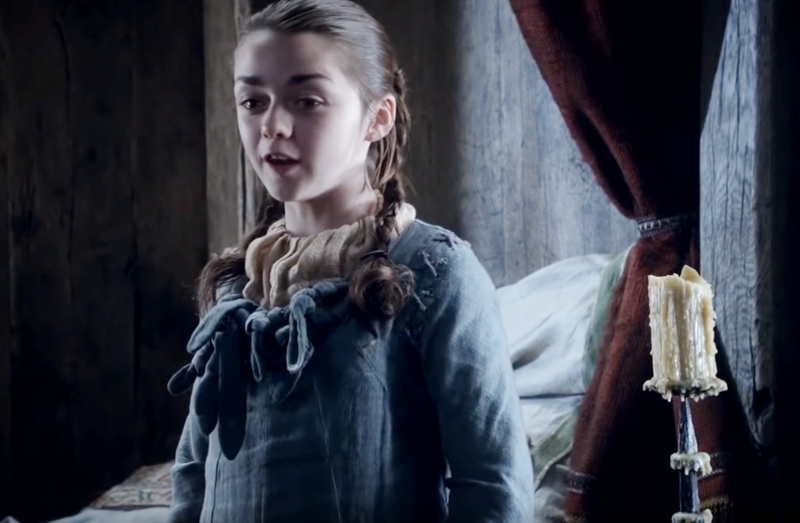 Arya names her wolf “Nymeria” after a woman who sailed 10,000 ships and became the ruler of Dorne. 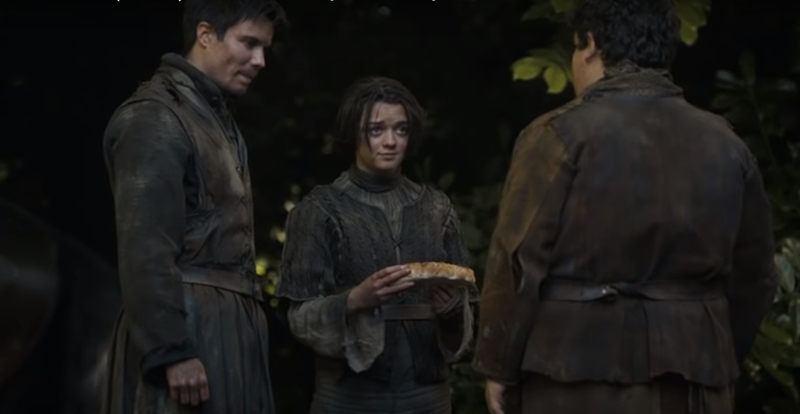 Out of all of the Stark children, Arya resembles her father Ned the most. In the books, her face is described as being long and horse-like, even though in the TV series actress Maisie Williams is cute as a button. 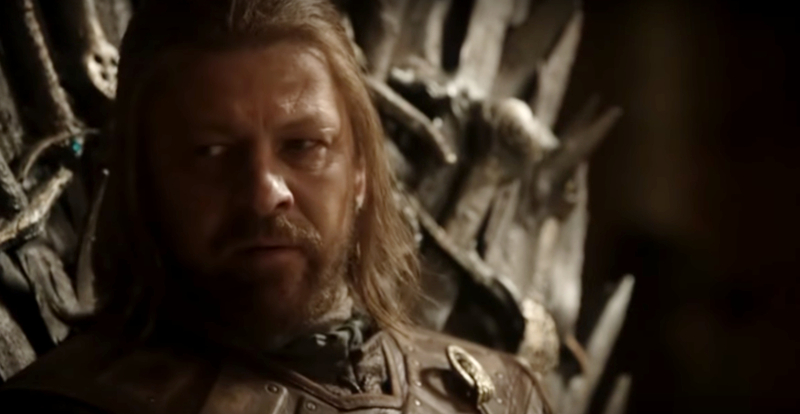 Ned Stark named Arya after his grandmother on his mother’s side. Her name was Arya Flint, and she lived in the northern mountain clans. 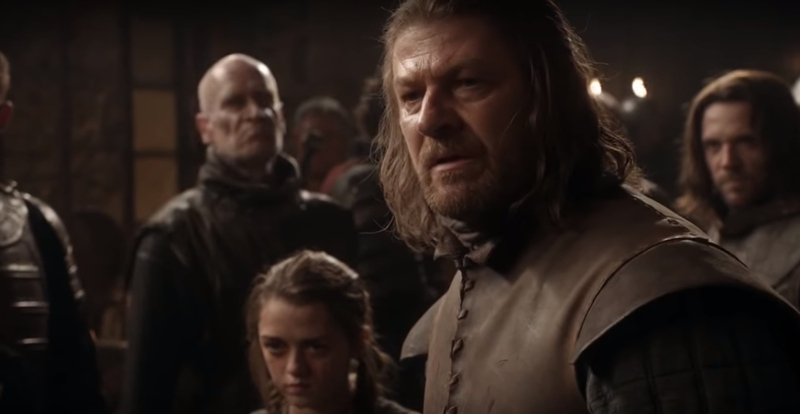 In both the books and show, Ned Stark mentions to Arya that she is a lot like his sister, Lyanna. They look alike, and they both had similar skills. 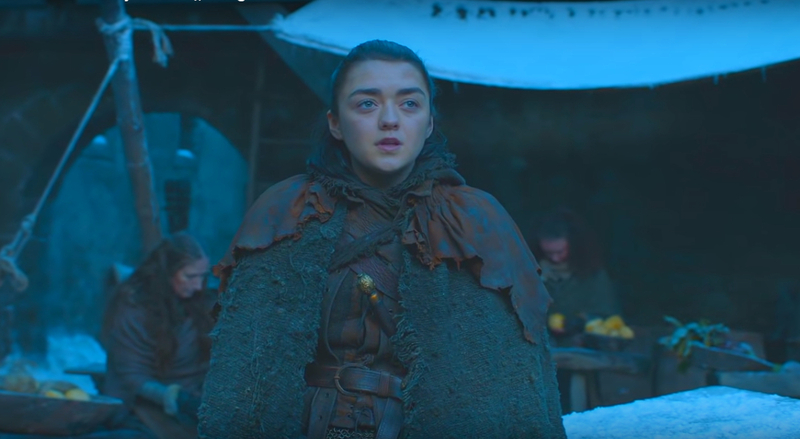 Since Arya was so young when her family fell apart, she was forced to grow up in a world where feuds and murder were happening around her on a regular basis. 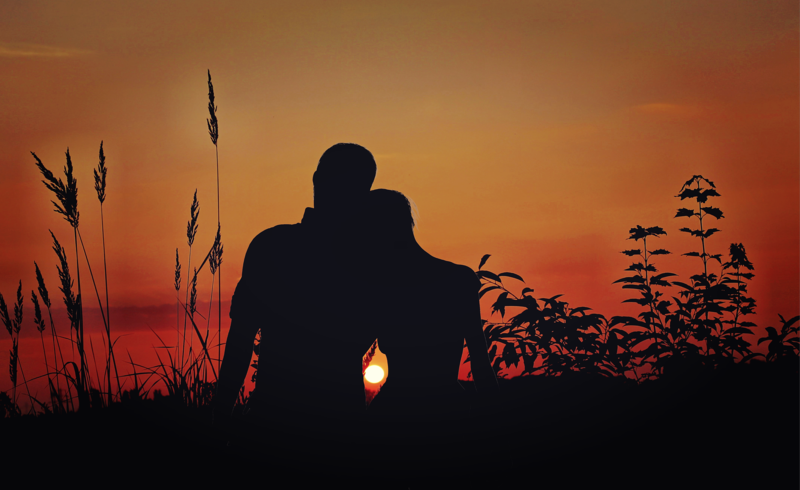 This became the new normal, and desensitized her to violence. 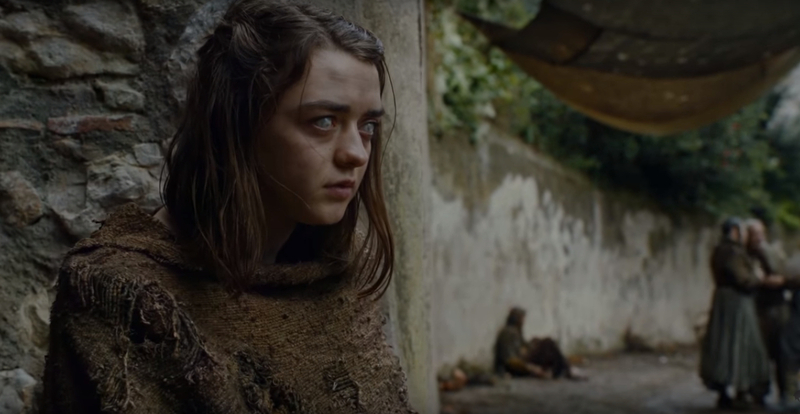 It’s clear in the books that Arya is a Warg just like her brother, Bran, who becomes the Three-Eyed Raven. 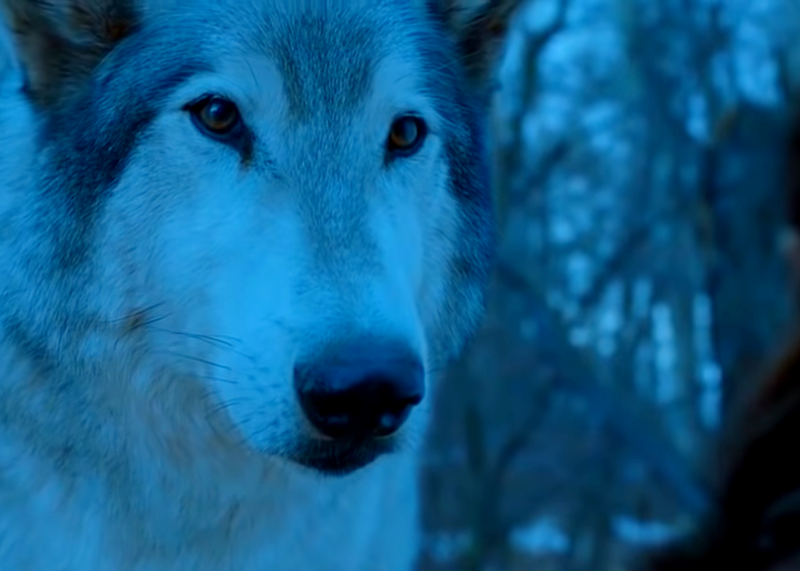 This means that she can see through the eyes of her direwolf, Nymeria; she does this multiple times in her dreams. However, Bran’s powers are more in-tune, and he can do it on command. 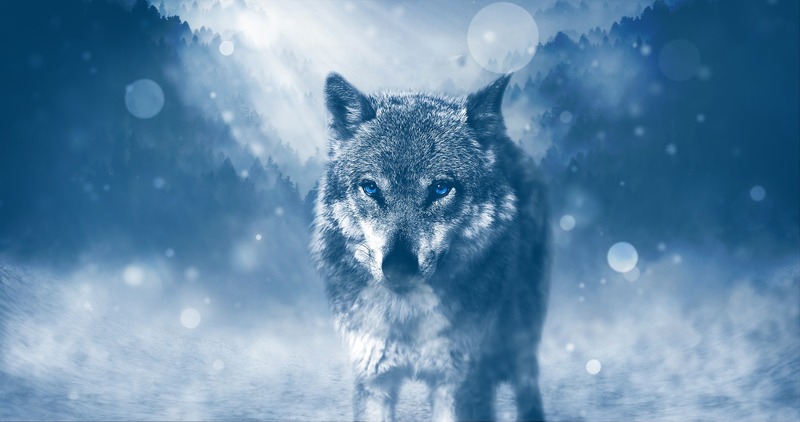 When Wargs die, their souls can live on in the bodies of their animals. The downside? 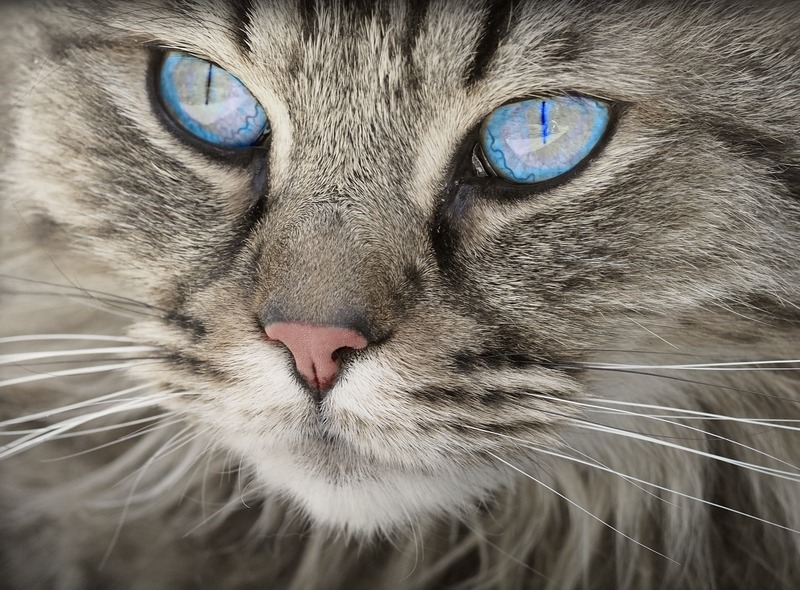 The longer someone is an animal, the less and less they remember who they were as a human. 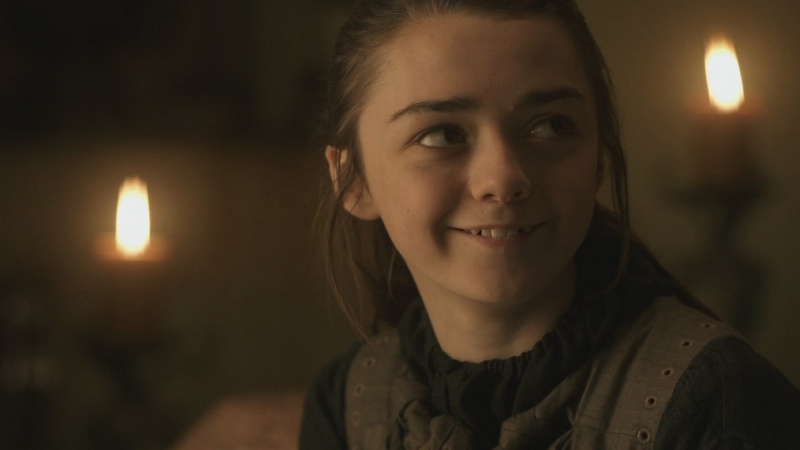 Throughout the books, Arya goes by an insane number of aliases and nicknames. These include Arya Horseface, Arya Underfoot, Arry, Lumpyhead, Lumpyface, Stickboy, Rabbitkiller, Weasel, Nymeria, Nan, Squab, wolf girl, Salty, Cat of the Canals, Blind Beth, the blind girl, the ugly girl, Mercedene, and Mercy. In the TV series, soon after the death of her father, Arya decides to cut her hair and pretend that she is a boy; she becomes Tywin Lannister’s cupbearer after Lannister recognizes she has disguised herself. In the books, she serves Roose Bolton instead. 27. Let Me at ‘Em! In the TV series, Arya gets help from Jaqen H’ghar to escape from Harrenhal along with Gendry and Hot Pie. In the books, she finds her way out all on her own. In the books, Arya was engaged to marry Elmar Frey. In the TV series, Elmar appears to be renamed as Waldron. For most of the books and the TV series, Arya’s family assumes that she is dead. 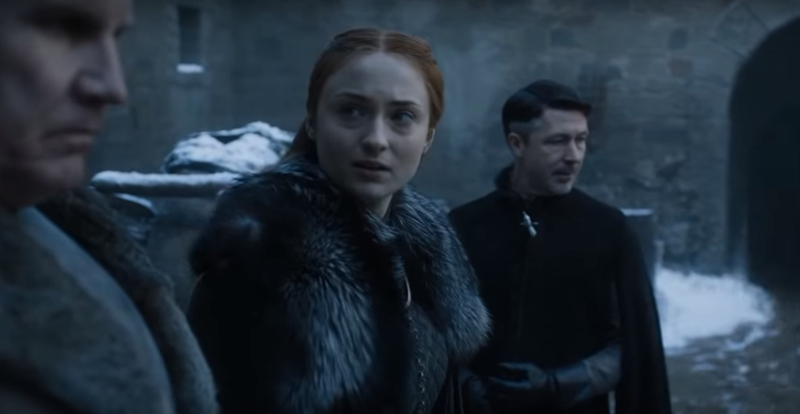 This is what pushes Catelyn Stark to comply with Lannister demands; she believes Sansa is one of her only surviving children. Although Arya’s family thinks that she is dead, they still want to benefit from a strategic marriage. 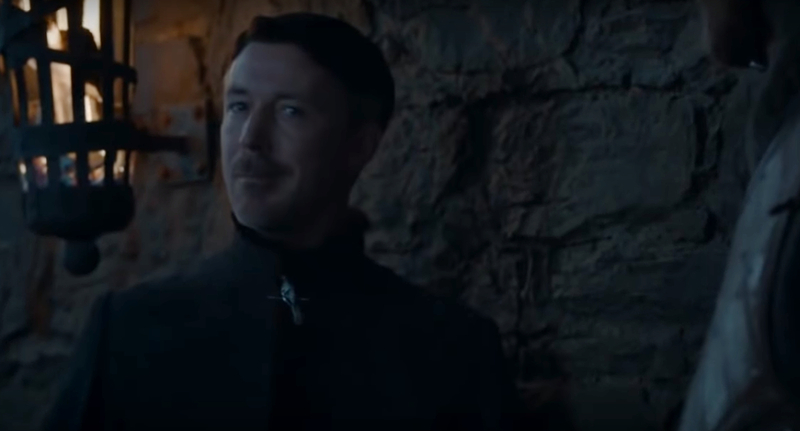 In the books, Littlefinger finds one of Sansa’s friends, a girl named Jeyne Poole, and pretends that she is Arya Stark. He marries Jeyne off to Ramsay Bolton. In the TV series, it is Sansa Stark who marries Ramsay instead. 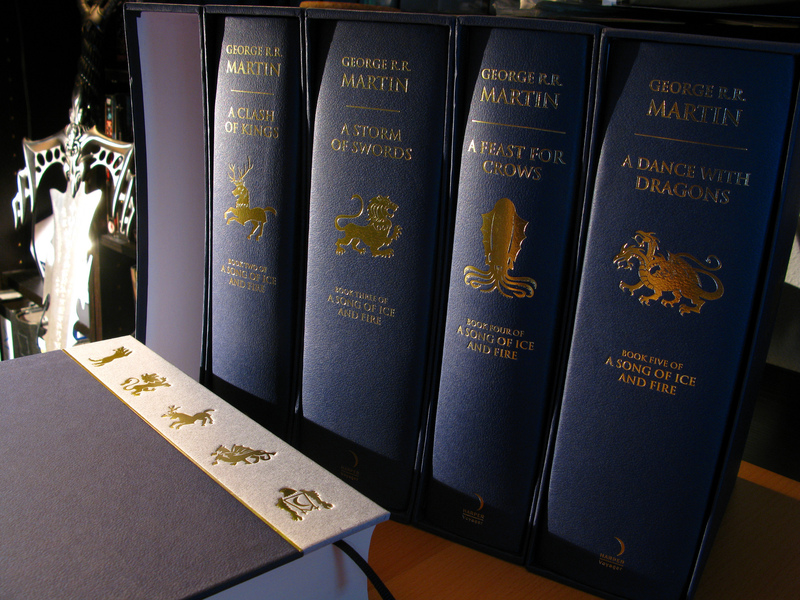 Arya is the only character who has gotten a POV chapter in every single one of the books in A Song of Ice and Fire. 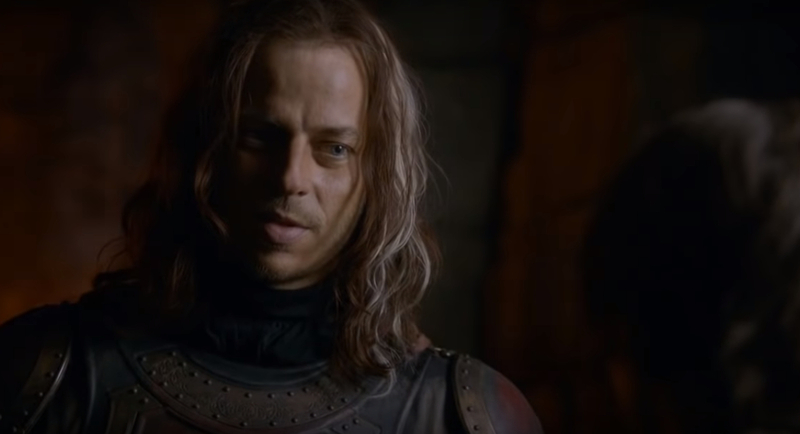 Jaqen H’ghar, the “Faceless Man” who recruits Arya, acts as surrogate father figure (if a fraught one). This makes sense; Arya is young, out of her element, and desperately seeking some kind of guidance. In the books, we learn that part of Arya’s training as a Faceless Man is to learn High Valyrian as well as the languages of Lys and Pentos. 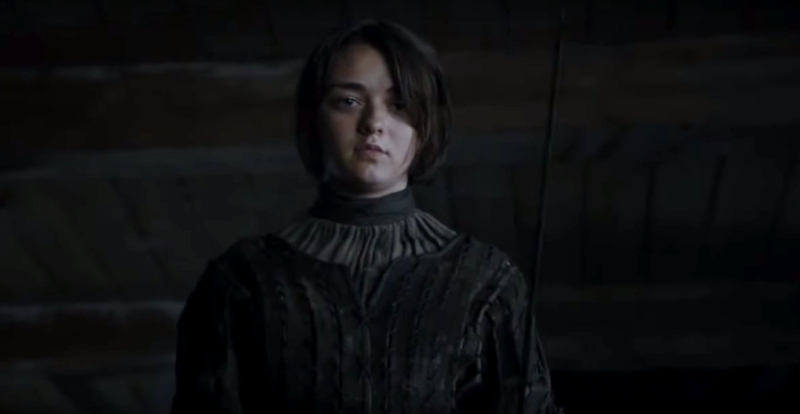 During her training as a Faceless Man, Arya is accompanied by a young woman only known as the Waif. 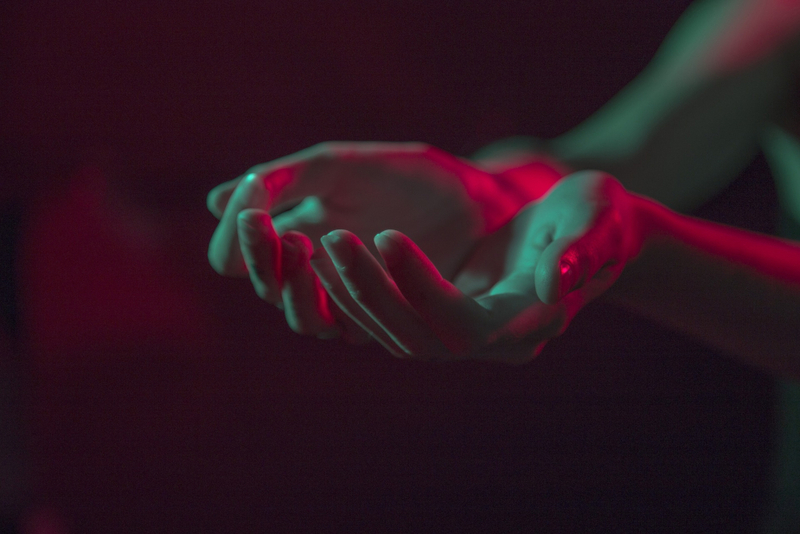 In both the books and show, we are told that the Waif came to the Faceless Men after her stepmother attempted to (or did) poison her in order to give her biological child the family inheritance, but details differ after this point. Moreover, since the Faceless Men practice mixing truth with lies, we may never know what is real and what is fabrication about her tale. In the scenes where Arya goes blind, Williams was wearing contacts that were hand-painted and 16 millimeters thick. During the fight scenes, the contacts had tiny pin-sized holes so she had just enough vision to act in the scene. In A Dance With Dragons, Arya’s blindness is caused by the milk she drinks every night while living with the Faceless Men. In the books, Arya gets so good at her skinchanging abilities that she is able to transform into a cat, an ability she uses, among other things, to be able to see. During an interview, Williams was asked if she thinks Arya will ever rule Westeros. She replied that she doesn’t think Arya is motivated by wanting to rule the Iron Throne; she just wants to get home. She also thinks that some day Arya could become an excellent Hand of the future King or Queen. 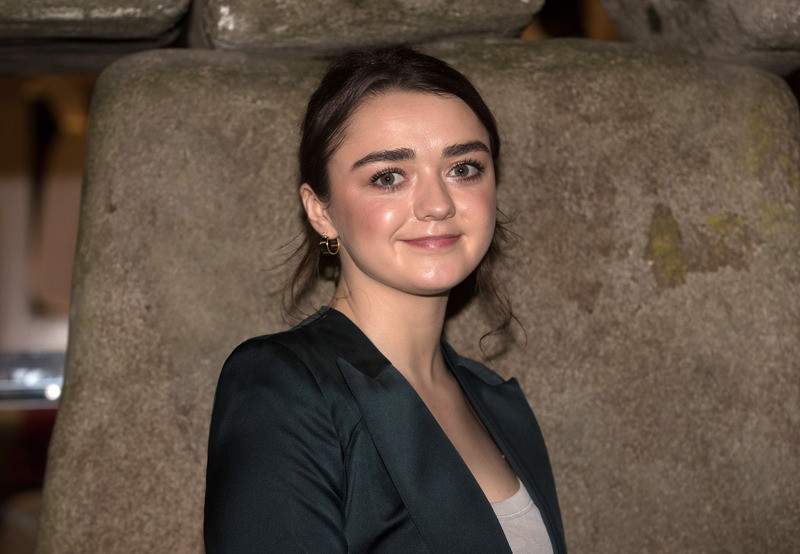 Williams said that the number one thing fans ask of her when they meet her is to recite Arya’s list of names—but they also want her to add their own name to the list so they can record it on their phones to show their friends. The people on Arya’s kill list on the show currently are (including ones who are dead): The Hound, Meryn Trant, Cersei Lannister, Joffrey Baratheon, Polliver, The Mountain, Rorge, Walder Frey, and Tywin Lannister. Arya has personally killed four of these people, and left The Hound for dead as well. 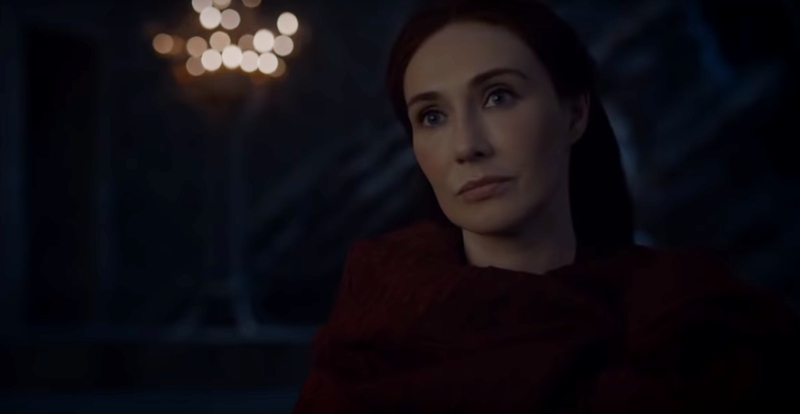 She’s phased out Melisandre, Beric Dondarrion, Thoros of Myr, and Ilyn Payne from her list. 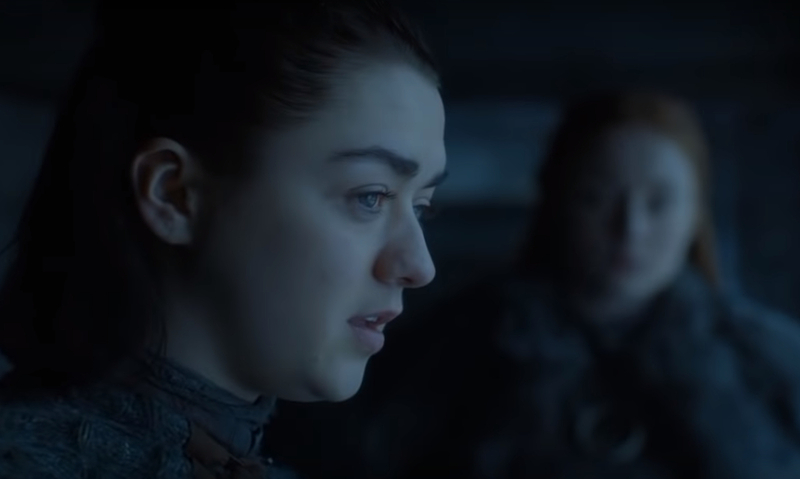 The people on Arya’s list are only the ones Arya knows have committed crimes against her family. Because of this, Littlefinger is never on the list (though she does eventually kill him). Neither are Roose or Ramsay Bolton or Theon Greyjoy. 11. What Did You Say?! 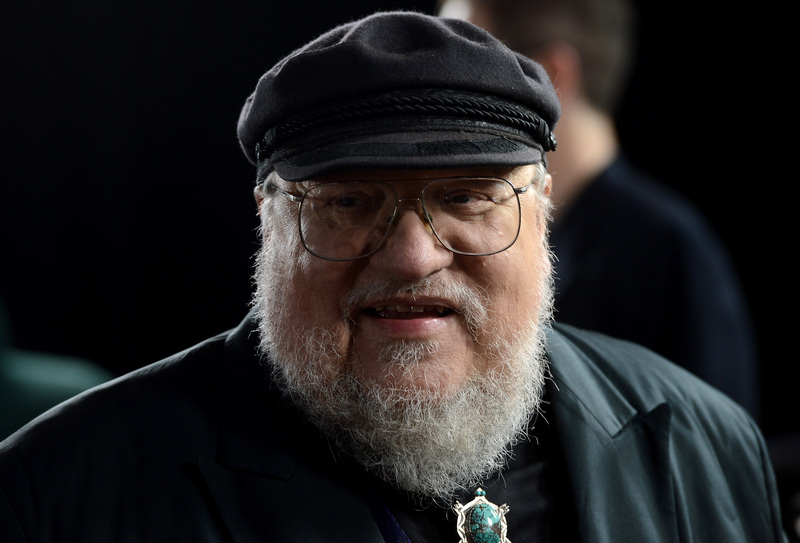 In the books, a man named Dareon abandons Jon Snow and the Night’s Watch. 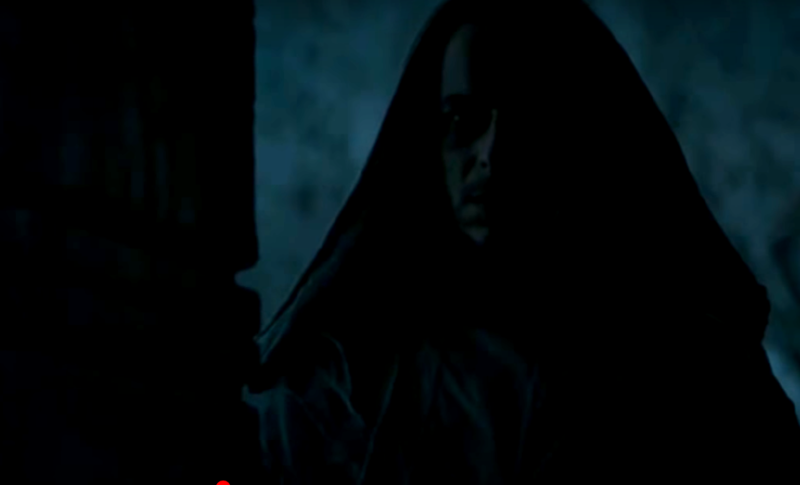 When Arya, who is in the town Dareon is posted up in, hears him boasting about ditching, she slits his throat. 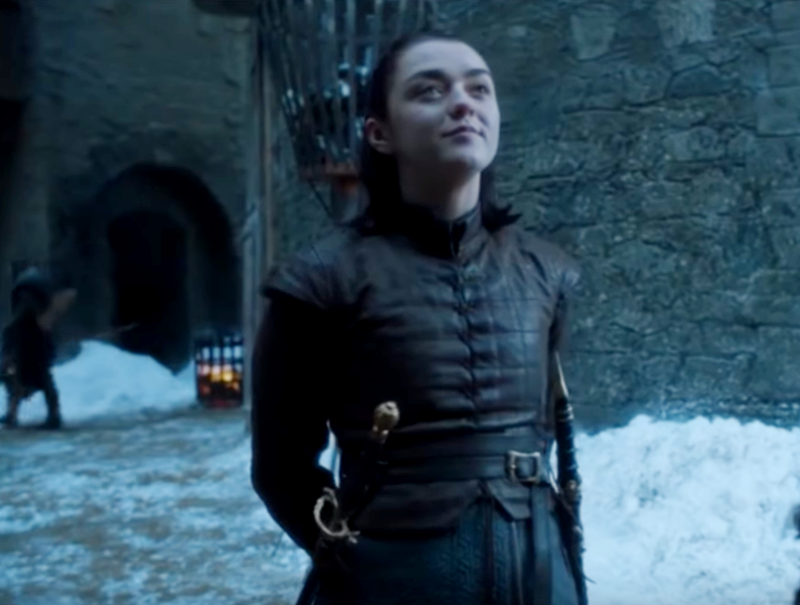 This represents a growing darkness in Arya as she becomes more jaded to the world: she didn’t need to kill Dareon, but slowly murder often becomes the only response she can think of when faced with an issue. Arya is left-handed in the books. Maisie Williams is actually right-handed, but learned to sword fight with her left hand in order to make it more authentic to the series. It was actually Maisie’s mother who urged her to play Arya left-handed, for fear that fans of the books would feel cheated and dismiss her performance. 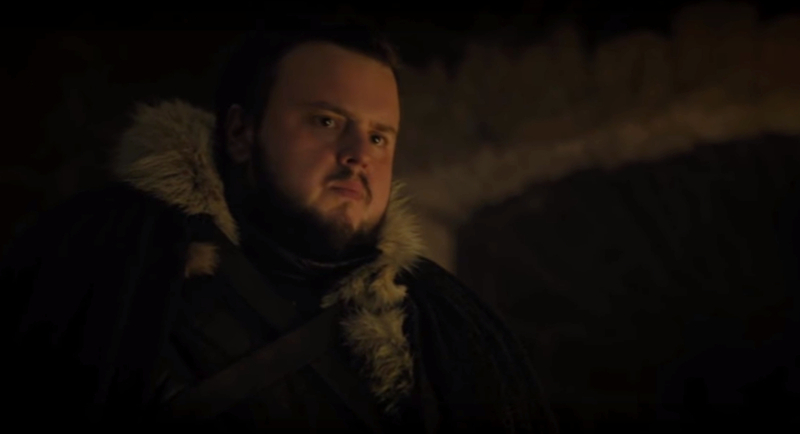 In the books, Arya crosses paths once with Samwell Tarly when he is travelling to Oldtown, and saves him from bullies. However, even though Sam tells her his name, Arya doesn’t reveal her true identity to him. Heartbreakingly, this means she misses an opportunity for Sam to recognize her and help reunite her with her family, which is all she’s ever wanted. Some of George R.R. 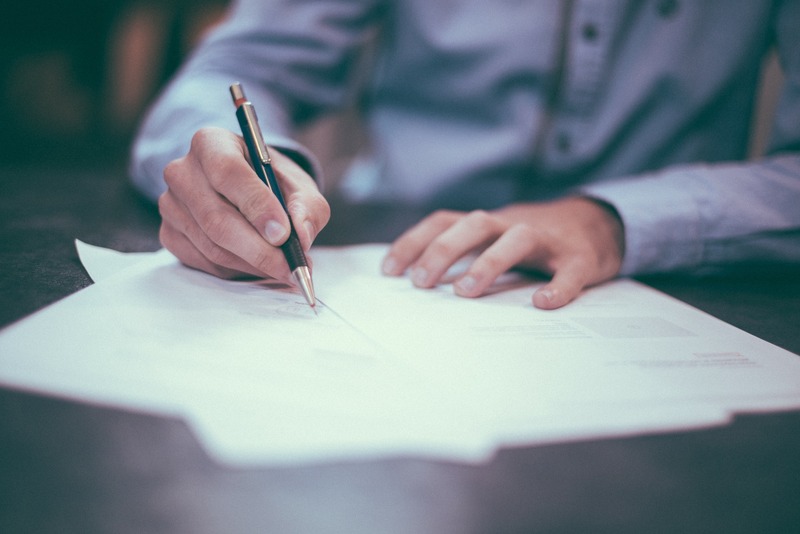 Martin’s letters to his publishers reveal that he had completely different plot ideas for Arya that never ended up happening. 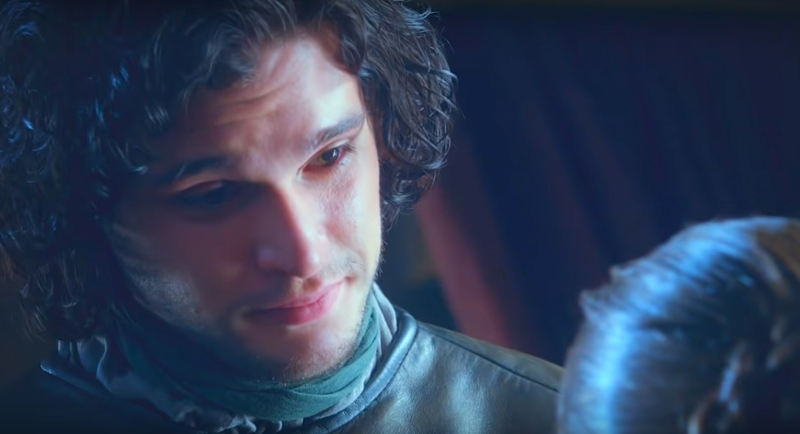 For example, Jon Snow and Arya are very close, and Martin was going to write in a forbidden romance between the half-siblings; it was eventually scrapped. 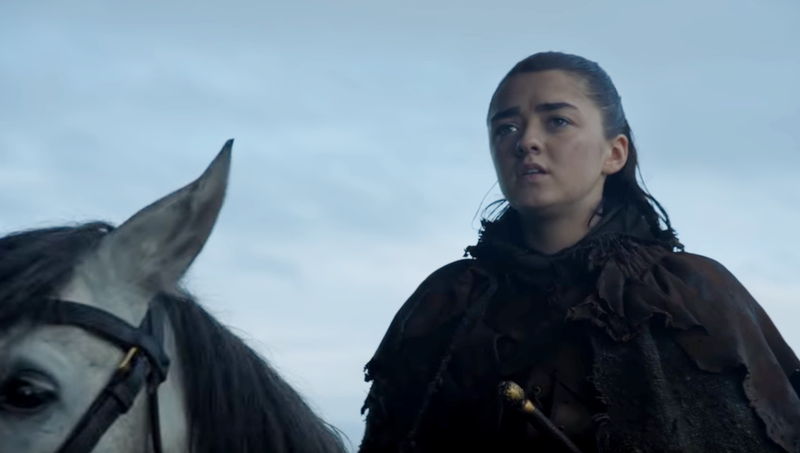 In a new chapter, “Mercy,” released ahead of the forthcoming book Winds of Winter, we find out more about what Arya will get up to in future novels. In it, Arya is going under the name “Mercedene” and is performing in a play. When her troupe is asked to perform for a group of Westerosi citizens, she recognizes Raff the Sweetling, an old underling of the hated Gregor Clegane. Wasting no time, Arya seduces Raff and then kills him. Though the Faceless Men are mysterious, we do know some things about them. For one, they’re ancient, and have been around since before the Doom of Valyria. The Faceless Men consider themselves servants of the Many-Faced God, and grew out of a group of slaves who worked in the mines and worshipped different gods of death, who they eventually consolidated into the Many-Faced God. The Faceless Men started by giving death’s “gift” to suffering slaves, but quickly moved on to give the gift of death to their cruel masters, becoming skilled assassins. 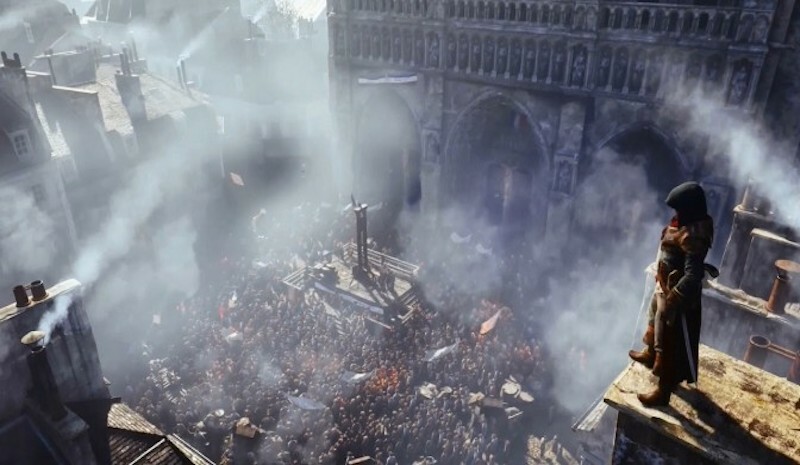 The Faceless Men also have a real-life counterpart: They are based off of the Order of Assassins, which was a Medieval Islamic secret society in the Middle East from the 11th to the 13th centuries. When Arya first meets Jaqen H’ghar in the books, it’s said that he looks like her old fencing master, Syrio Forel. 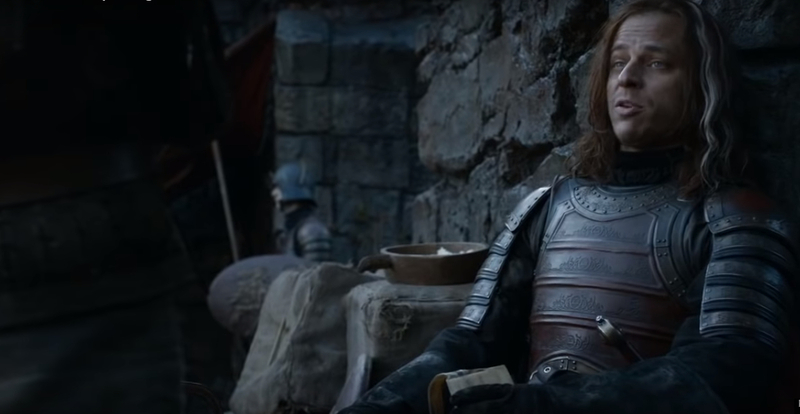 This led fans of the series to theorize that Syrio and Jaqen are one and the same, and that Arya has been training to be a Faceless Man for longer than we even imagined. George R.R. 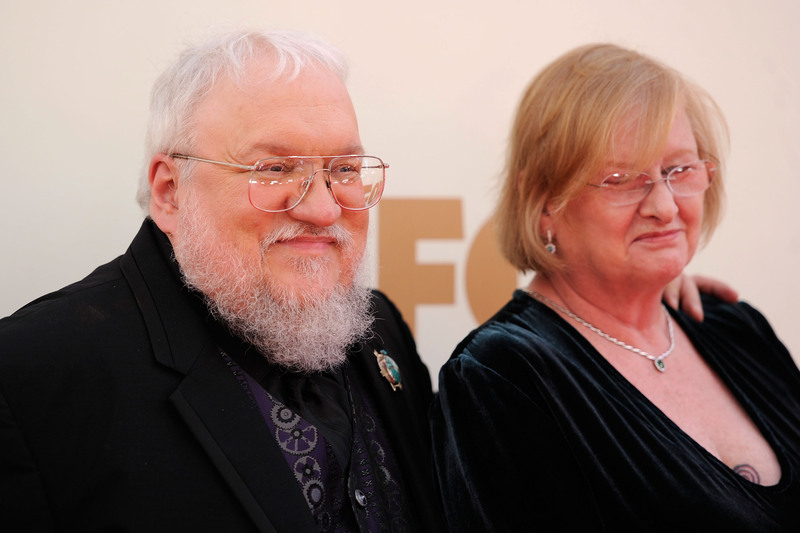 Martin’s wife Parris McBride has said that if he kills off either Arya or Sansa, she will divorce him. 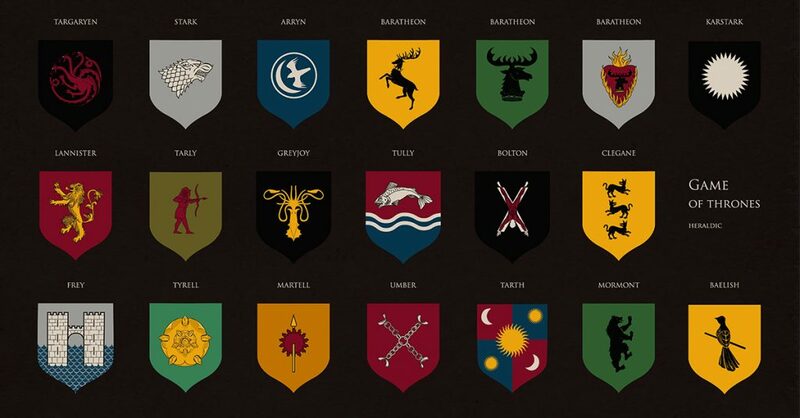 This insanely hard quiz is for true Game of Thrones fans only. 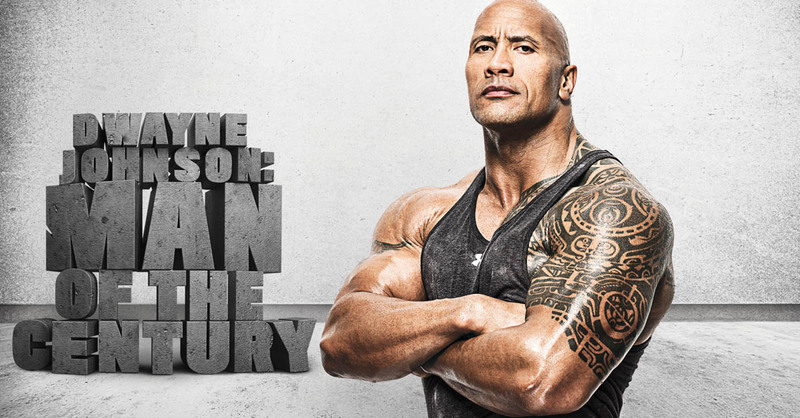 Think you have what it takes? Or do you know nothing?